Finally, a whole new site dedicated just for you! Whether you are an advanced competitor or new to the sport, we have the best resources, most up to date information and exciting news about the art of 'hawk Throwing. 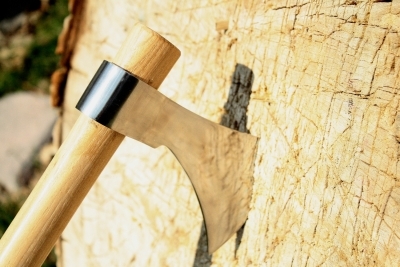 Tomahawk Throwing is a fun and challenging recreational activity which can be enjoyed by almost anyone all year round. Requiring only a tomahawk, target, and a few skills and techniques up your sleeve, you're on your way to making that perfect tomahawk throw! The average tomahawk ranges from 14-21 inches in length. Choosing the right size and length is very important as these factors can affect the speed and accuracy when throwing the hawk. Quite similar to tomahawk throwing, ax throwing is an activity in which a person throws an axe at a target, with an attempt to hit the bulls eye as near possible. 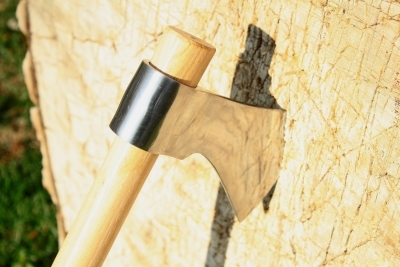 Ever wondered how the first tomahawk came into existence? Tomahawks originated way back 17th century and were first used by Native Americans as general purpose tools. A traditional tomahawk target board is made from sections of tree trunks with a minimum diameter of 12 inches and a thickness of at least 4 inches. 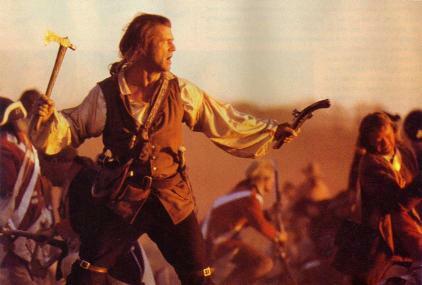 This iconic tool has been featured in a number of popular movies such as The Patriot, Last of the Mohicans and Jonah Hex,to name a few. A lot of these movies have showcased what a tomahawk can really do.